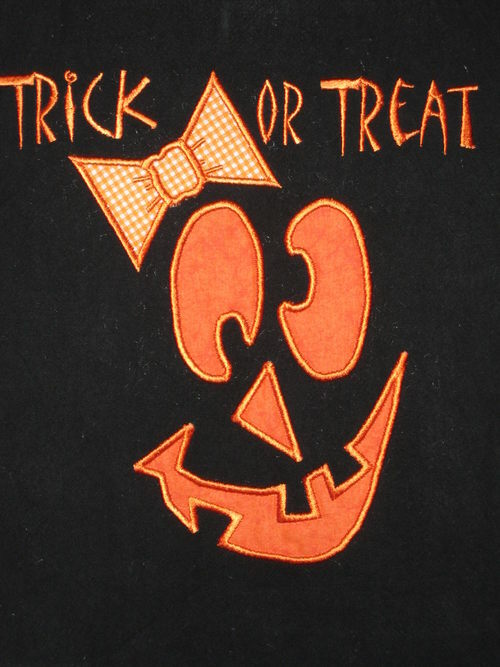 I don't know about you but EVERY SINGLE YEAR I look and look for cute Trick or Treat bags for my children and I never have any LUCK! Finally, I decided to just create them myself! How cute is this Trick or Treat bag!! 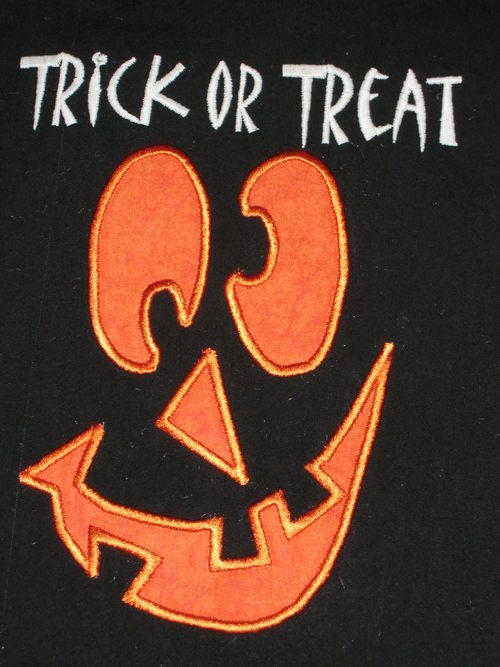 There is a cute applique on the front of the bag that looks like a jack-o-lantern. On the top of the bag it says---Trick or Treat. The girl bag will have the cute bow and the boy bag won't. You can choose the color of the fabric and the color of the thread............but there is more................The thread on these bags..........GLOW IN THE DARK!! How perfect for Trick Or Treating!! Plus I will monogram your child's name on the bag for FREE!! If you love this applique design and you want it on a shirt, dress, bloomers, bib, blanket, etc. please email me and I will let you know what I can do. These bags are black in color and 100% cotton. They are light weight and approx. 14"X14" but may vary slightly. The two handles are long enough to be shoulder straps and they are 12". Since these bags are custom made.........please allow two weeks from when you pay until the bag arrives at your house! !